To scratch an itch feels really good. Ordinarily, the itch is satisfied and that is that. No one really understands the cause of skin disorders such as psoriasis and eczema. Any number of triggers such as foods, stress, environment, hormones, even genetics, can set off a flair. According to The Eczema Cure Clinic, the main reason why mainstream medicine is failing people with these conditions is because they are only dealing with the symptoms rather than looking at the underlying cause of the problem. Aiming to control the symptoms, even if only temporary, is the best they can do. Patients are aware that long term use of steroids, topically or prednisone, have serious side effects. But when a person's quality of life is compromised, he or she will grab at anything for relief. Creams, ointments, antibiotics all may work for a while, only to have the outbreak return. Usually by the time someone seeks alternative remedies, it is because they are frustrated with conventional treatment. The last thing a person suffering from an inflammatory, itchy skin condition such as Eczema or Psoriasis needs to hear is "why can't you just stop scratching". Unless someone walks in his/her shoes there is no concept of what this type of itch is like. Described as an itch deep to the bone sounds about right. To control the itch is key to controlling the condition. As long as there is itch, there will be the urge to scratch which only makes things worse. A natural, safe, inexpensive method of helping to control the itch is with a simple spray made up of Vegetable Glycerin and Witch Hazel. This spray is not being promoted as a cure, but rather a means of helping the body so it can heal itself. Since people all react differently to available products, this is simply another option to try to see what works. 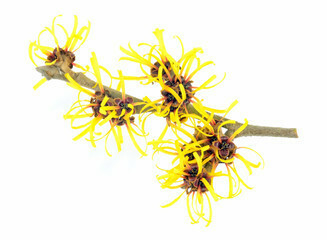 Witch Hazel is a natural anti-inflammatory and offers soothing and cooling benefits to irritated skin. Witch Hazel is traditionally made through a distillation resulting in a product with 14% alcohol for preservation. The alcohol may be too drying, therefore the Witch Hazel used for this spray is alcohol free. For preservation purposes, benzoic acid, a mild preservative is added. One to three times a day, or at that first tingling, lightly spray onto the area and rub it in till it is gone. Try not to cover the area with clothes until it has had time for absorption. As with any moisturizer, the best time to apply is while the skin is still damp after a shower or bath. Don't apply to broken skin as it may burn. You have the option at checkout to choose whether you want a spray top or a pop-up type cap. Depending on the area you may prefer just pouring a bit into your hands and applying that way. 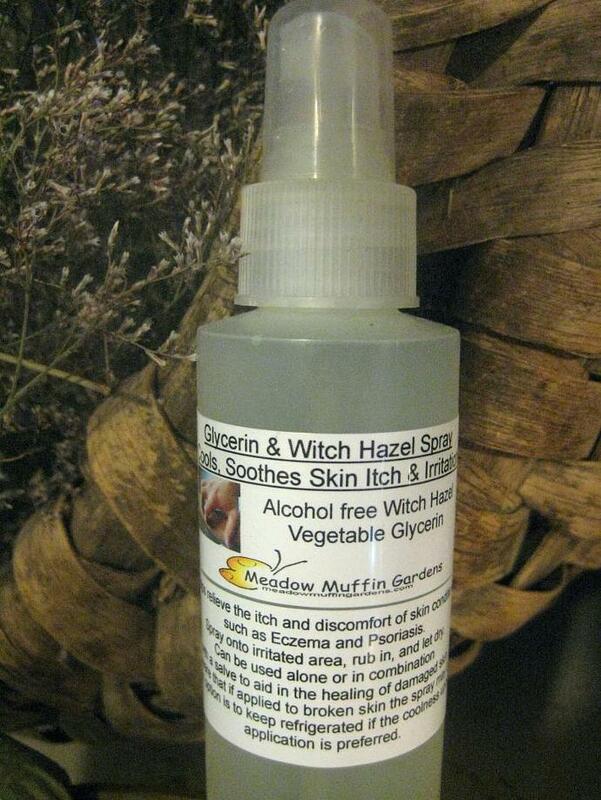 This Witch Hazel & Vegetable Glycerin spray can be used alone or in combination with an herbal salve. 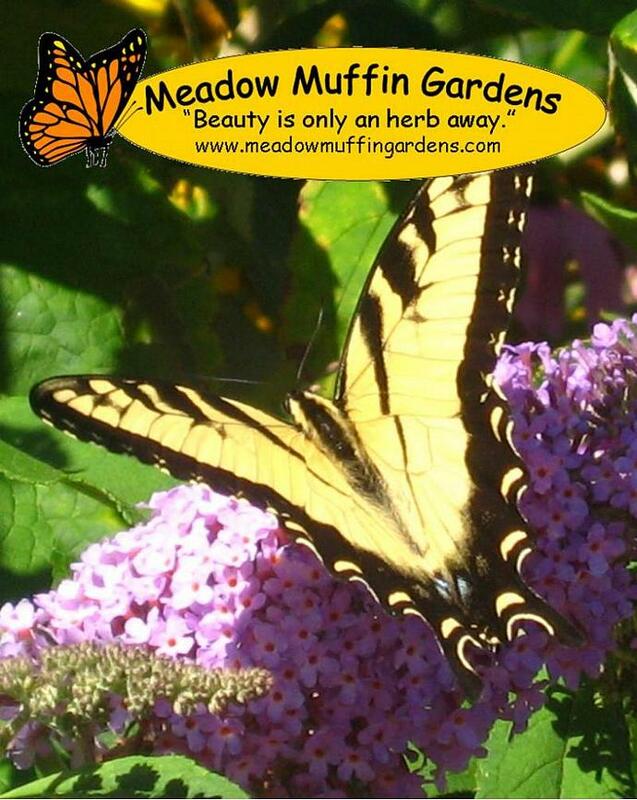 The benefits of an herbal salve will help with the healing and repair of damaged skin. Wait until the spray has been absorbed to apply the salve. Spray comes in a 4 oz. plastic spray bottle. Eczema is an example of what happens when a body's channels of elimination are blocked. The colon, the kidneys, and the skin are the organs of elimination and detoxification. Without addressing the root of what is happening, no amount of skin treatments are going to cure eczema or psoriasis. The body needs help with lifestyle and dietary habits to help get the system back in good working order. Seeking the advice from a holistic doctor and nutritional counseling may be the source for such support. Finding ways to deal with stress is paramount for alleviating strain on the immune system. According to OrganicFacts.net, psoriasis and dermatitis can be helped by taking cod liver oil. It is believed by the medical community that EPA (eicosapentaenoic acid), which is an omega-3 fatty acid present in fish oil, restricts the growth of inflammatory-inducing agents that can cause psoriasis. Applying cod liver oil directly to the rash or simply taking a supplement as directed by your physician or dermatologist may help to improve this irritating skin condition.